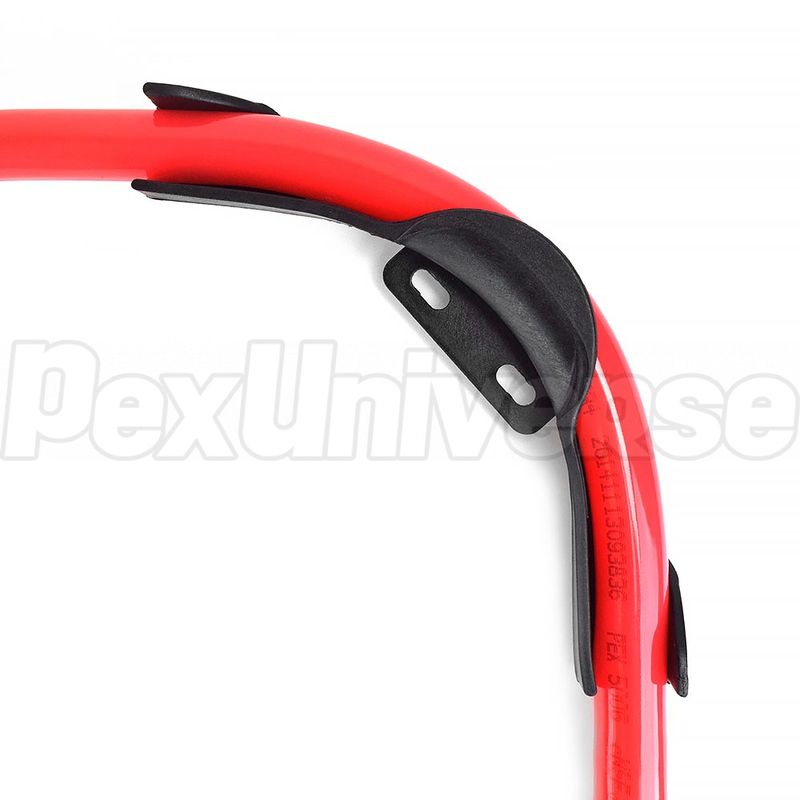 Plastic Bend supports are used to make a smooth 90-degree turn with PEX tubing where needed. They are also commonly used to stub out of the walls. 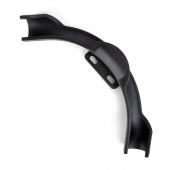 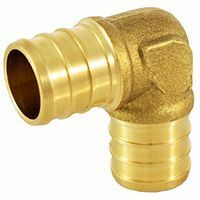 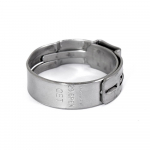 Manufactured from fiber-reinforced nylon for extra durability and holding power. Simply lock the tubing inside the bend support and done. 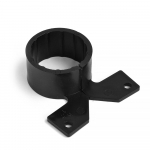 Features a drop ear that allows installer to fasten the bend support to wooden surfaces (studs, joists, plywood, etc.) 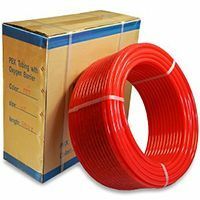 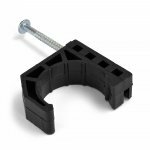 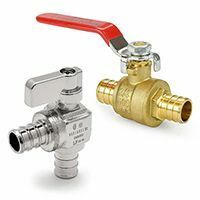 1" PEX bend supports can also be used with 3/4" PEX tubing.